A Chicken and Rice Guys food truck. 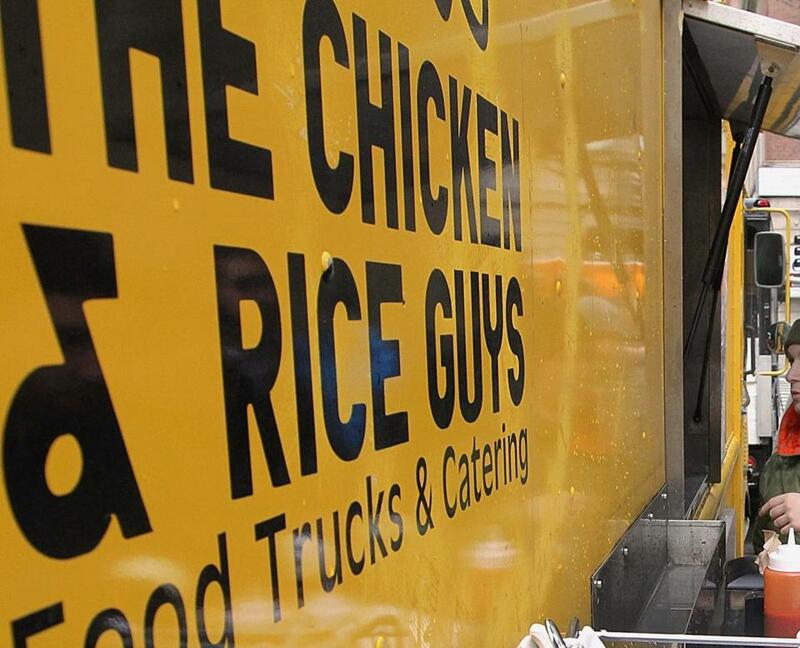 An E. coli outbreak shuttered three locations of the Chicken & Rice Guys, as well as its fleet of Middle Eastern food trucks, Boston health inspectors said Tuesday. The department confirmed seven cases of E. coli stemming from the Chicken & Rice Guys Allston location, which supplies food to the chain’s other outposts. The problems led to the temporary suspension of its operating license, Boston Inspectional Services Commissioner William Christopher Jr. said. He added that he did not know the condition of any of the people who were affected. The company’s four food trucks, which rotate locations around Greater Boston, were taken off the road Tuesday afternoon, said Phanna Ky, general manager of the chain’s Medford restaurant, the only location that remained open Tuesday evening. Christopher said Boston does not have jurisdiction over the Medford location. Chicken & Rice Guys officials could not be reached. According to Boston Inspectional Services, the city received an anonymous complaint and opened an investigation Tuesday. Public health officials remained at the Allston site throughout the afternoon trying to determine a specific source of the outbreak, Christopher said. He added that the department will meet with the chain’s owner on Wednesday morning to discuss a course of action. Escherichia coli 0157:H7, the most common type of E. coli infection in the United States, can cause stomach cramps, diarrhea, and vomiting. Most people recover within five to seven days, but about 5 to 10 percent develop hemolytic uremic syndrome, a potentially life-threatening complication that can shut down the kidneys. Last month, a Massachusetts man was sickened with E. coli amid a nationwide outbreak linked to I.M. Healthy SoyNut Butter. Twenty-nine people, most of them children, in 12 states were infected between the time the illness was detected on Jan. 4 and March 13. Megan Woolhouse can be reached at megan.woolhouse@globe.com. Follow her on Twitter @megwoolhouse.